The verdict is in: we are moving toward an ever more connected, interactive, and intelligent world. At the front of that move is an accelerating sensor market that promises to fundamentally change the way we approach medicine, communications, renewable energy, and a great deal more. It was good fortune, then, that I was recently able to talk with Janusz Bryzek—a man known by many as the “Father of Sensors.” He has eight different companies to his name, all Silicon Valley-based, and is currently working as VP of Development in Microelectromechanical Systems (MEMS) and Sensor Solutions with Fairchild Semiconductor. Dr. Bryzek is also a dedicated writer, with over 200 papers and sections of 4 books to his name. His current project is the Roadmap to a Trillion Sensor universe, for the sake of which he recently organized the Trillion Sensor Summit in October of this year at Stanford University. Our conversation focused a great deal on this project and on what we could expect from the sensor market in the coming years. In doing some readings before the interview, I kept coming across this book called Abundance by Peter Diamandis. In the book, he talks about this point where the global need for goods and services is met by the ability for us to deliver them—what he calls “abundance.” And he thinks we can meet that in a generation? Janusz: Yes. Peter Diamandis started the XPRIZE Foundation, and they’re funding new people who are making technologies to deliver, among other things, “abundance.” He was asked, some time ago, to explore an answer to the question of whether our lives are better than our predecessors. What he found was not only that our lives are better, but that there were eight technologies considered to have “exponential growth” capable of satisfying the growing global demand. Among the eight are biotechnology, medicine, artificial intelligence, robotics, and also sensors. What he’s estimating, based on the rate of change, is that we achieve abundance in about one generation, or even as soon as twenty to thirty years. Abundance is forecasting a need for something on the order of 45 trillion sensors. When I started looking at the market, I saw a split vision. Market research organizations were forecasting a modest 21%/year growth of sensor market over the next 5 years, despite explosion of sensors in mobile market from 10M in 2007 to 2.5B units in 2012 (over 200%/y growth!). Selected visionary companies, such as Bosh, Intel, HP and many others were claiming that in the next 5 to 10 years—depending on the source—we should reach a trillion sensors in the marketplace. So if we’re growing in order to reach a trillion, we need to grow at least 50% per year in the sensor market—as opposed to 200%/y in the last 5 years. More importantly, the growth seemed to be coming from new sensors and new application not yet known to market research organizations. Historically, time from early sensor prototypes to volume production has been 30 years. So left to historical cycles, new sensors needed to support Abundance would be coming to market too late. Figure 1. Mobile sensor market exploded (red line) between 2007 (introduction of iPhone) and 2012 from 10M sensors to 3.5B. Such explosion wasn’t anticipated by market research companies. Currently, they forecast growth to about 20B units in 5 years, while many visionary organizations see continued market explosion to trillions of sensors. TSensors Summit vision of reaching a trillion sensors in a decade needs 56%/y growth. Historically, obstacles to growth of the sensor market were due to four factors. At the time when the technology was being developed, there was no market for it — there was no market drive — and thus there was a lack of focused development. Development was for the sake of proving one could do something new, and not to address a pressing market need. Second was a lack of standardization. Every sensor had its own fabrication process, its own signal conditioning, packaging and test system. This was creating a major slowdown. The next problem was the multidisciplinary aspect of sensor technology spanning multiple disciplines, making it difficult to master. The last problem was funding. There was not enough money for funding a diversified sensor market without a clear market pull. So I decided to start the movement accelerating sensor development. The first step in this process is peeking into the future: understanding what new global sensor applications are likely needed. This was a question for visionaries. I found about 50 visionaries from around the world, and recently brought them together at the 3-day conference TSensors (Trillion Sensor) Summit at Stanford University, where they presented their visions of what’s to come in the next 10 years. And the visions were absolutely fantastic: I had 250 people in the audience who were mesmerized for 3 days, absorbing all these visions and getting excited. I heard people say that these were three days of TEDs in real time, that when they went back home that they couldn’t sleep the entire night thinking about the sensor based changes in the world. So we got a lot of visions for ultra-high volume sensor applications. One of the questions which came out was: can we afford trillion sensors. Global GDP is currently at $70T level and in 10 years it should be at around $90T, depending on economy growth. Visions from Cisco and GE put Internet of Things growing from almost zero now to about $15T in 2020 about 16% of GDP! Cisco estimated that networked sensors will represent about $1T at that time, representing over 1% of global GDT. So we can afford trillion sensors, if they are low cost. Right. So at the Summit, you mentioned a bunch of the different applications that were presented. Is part of this activity a push to get funding or to attract more attention—or, as you say, more to accelerate these process with the different folks who could drive it? The concept of acceleration is foremost. We have the first set of applications, and we are planning to repeat this process in Japan next February and planning other 2014 TSensor Summits in China, in Germany, and back in the US. So we will be getting more and more applications. Knowing likely new applications, the next step is converting these applications into sensor platforms capable of supporting the largest number of applications. For example, one of the emerging sensing technologies is a single chip spectrometer. It could be used for invasive and noninvasive health testing, it could be used for chemical sensing, it could be used for detection of pollution in air, water and food, it could be also used in hyperspectral imaging, explosive detection, food sweetness measurement and many other apps. So properly designed spectrometric sensing platform could support a broad range of applications, maximizing benefits and minimizing development effort. We are currently working on the development of the list of large applications; we call them TApps (trillion sensor apps). In the next step, we will produce TSensors Roadmap characterizing major sensing technologies capable of supporting each TApp. The following step will be a selection of new sensing technologies with the largest global impact, and focus on acceleration of their commercialization. My vision for fastest commercialization is through the startups: recruiting technology developers and licensing their technology to new organizations. The new organization would have to have the Board including successful entrepreneurs with scars from sensor commercialization, such as myself and many of my friends, to help founders to eliminate errors we have made. We would also want to give them direction for what not to do, which is usually speeding up (dramatically) commercialization. And there will be groups who need to think about funding of these startups. Funding could possibly come from venture capital, possibly from governments, possibly from so-called co-optition (“cooperating competition”, competitors jointly funding sensor technology acceleration to accelerate market growth), crowd funding and other organizations. So it will be a bit challenging, but this is our current objective. You mentioned a better disease detection. What other things came out of the summit — really cool things, or ones that could effectively drum up interest? Oh yes. There were many. An interesting item that came out was for flying insects. With microtechnology, they can enable, for example, pollination and fertilization of plants in the field—maybe fertilizing one plant at a time. For example, to simplify the design the flying insects use mathematics replacing the need for heavy optics in disposable cameras (half a human hair diameter!) with a minimal optical resolution—just to be able to move around and recognize objects. And this leads us to the sort of world where you can get Amazon and UPS delivery without UPS trucks in 30 min, as recently announced. I can imagine the possibilities are endless with this sort of technology. Yes. “Smart pills” were demonstrated, with electronics embedded into them. They are powering pills’ electronics from the chemicals existing in your digestive tract. Chemicals are sufficient to create a battery to power the wireless communication with the patch located on the body. And there are 7 trillion pills consumed yearly. Many of them, once converted to smart pills, could save 100s billion dollars in medical care through a simple increase of adherence to prescriptions, eliminating later hospital treatments resulting from lack of adherence. That’s amazing. For all of the amazing things we’re seeing, are there any obstacles that you’re identifying in getting the message out? It seems that there’s certainly a need to push the industry along, but are there big challenges you’re seeing in meeting the production and volume—you’ve said 45 trillion sensors. Is that something we can meet? There are many hurdles along the way. One of them is where the money will come from. Even if there is a need for a given sensor, is there a funding incentive available for developing it? The answer is YES. I found several factors already visible in the market providing hope that the funding for new sensing technologies can be found. One of them is healthcare cost. The US has exceeded 18% of GDP on health spending, and the growth of healthcare costs was on the order of 8%/y, recently dropping to 4.2%/year, which is far above the growth of the economy—somewhere between 0% and 3% a year. If we don’t do anything, we will be bankrupt. Many of health sensors migrating to mobile devices aim at significant cost reduction. Once you’ve reduced the cost, you can bring medical technology to those who don’t have it right now. So reduction of the cost of medical care is a very interesting theme to governments. The state of Massachusetts, for example, funded personal health care development a few months ago at the University of Massachusetts Amherst — 34 million dollars. And multiple government agencies fund development of medical technologies for reducing the overall healthcare costs; transferring the diagnostics performed today by the hospitals to the patients themselves. Another source of funding is insurance companies. In the US, 45% of the medical diagnostics is wrong. The remaining 55% is not optimal. So who pays for this? It’s the insurance companies. So an example of insurance companies reducing medical costs is Dr. Watson, are you familiar with this? Yes, it was on Jeopardy, right? Yes. They use a super computer with built in “thinking” capability—in quotes—and started to develop medical applications. They put together billions of pages of medical books, journals, and other information in so that the computer is absorbing all the knowledge on earth about the medical field. It is similar to cataloguing all of Internet by Google. In addition to insurance companies, IBM is also working with selected medical centers. For example, with Mayo Clinic they uploaded 1,500 cases of real cancer patients. Based on this knowledge, after the computer gets the patient’s results, it is recommending a best statistically validated strategy. Right now, supercomputers like this are quite expensive, but IBM is forecasting that, by 2020, they will fit into our cell phones. Another example of potential funding source comes from energy savings. About 45% of all energy generated on earth is wasted into heat. If we could recover that energy, maybe reprocess the same energy a second or third time, then we could save a lot of energy and resources. New devices, such as nano-thermo-photo-voltaic converters, promise recovery of over 70% of heat waste, but are at least 4 years away from commercial deployment. Shorter term, we could look at the air conditioning of buildings. If you could implement smart air conditioning systems which measure temperature, not just inside of the room but in multiple places in the room, number of people in the room, humidity, the temperature of your skin, measure sun exposure or heat flow, even measure your health to know whether your body wants to be hotter or cooler—based on all this information, you can save about 30% of the HVAC bill. So if you’re looking at big office buildings, it’s a lot of money that could provide a short ROI. There is also a visible personal demand: we already proved that cool gadgets in cellphones enabled by sensors (such as landscape-portrait image rotation) drove our buying habits. Current wave of wearables is representing a real Tornado. So forthcoming invasion of health sensors enabling us a better visibility of our own health will definitely be a compelling reason to early adopt these technologies. Right. As they get more dynamic and more sensitive, they end up saving on total costs. Yes, the smarter they are, the more they can improve efficiency. And so that’s a really optimistic aspect of the Internet of Things movement. It makes everything, as a whole, smarter and more efficient. The range of applications is unbelievable with 1000s of networked devices coming for each of us in less than a decade, working for our benefit. You asked about obstacles: another big problem is the Internet itself. Most of the devices will be talking to each other, and we need internet connectivity for that. Currently Internet latency is not very predictable, as for example phone voice packets are routed separately throughout the world. Emerging Internet network architecture adds two additional “layers” to the network below Cloud. The first is the Fog, and the lowest level to connect edge devices is Swarm. Cisco announced that four largest network providers, Cisco, IBM, GE and Amazon decided to support such architecture, in essence accelerating emergence of Internet of Things. One of the spinouts from UC Berkeley developed parking sensing system reporting via Internet open parking spots initially in San Francisco, with ability to make advanced reservation. They had to develop all network connectivity on their own. With the emergence of new network architecture, connectivity to the internet would be almost free through the new infrastructure, dramatically reducing the time to market and the amount of money to be raised for this kind of connectivity. In addition to Internet of Things, there are several other global tides driving demand for sensors. They include “e-health” or “digital health” Redefining medical industry, “Central Nervous System for the Earth” (CeNSE) trying to lauch global environmental monitoring for pollution, earthquakes, tsunamis, weather forecasting, oil exploration, etc. Well, I could definitely appreciate that. Yes. Another thing is context computing. Many companies are trying to gauge our mood, our feelings, and our emotions. For example, one of the algorithms under development right now is meant to be able to extract your mood from just looking at your face. Are you tired, sleepy, angry? Just from looking at your face. First impression. The human brain can do it, so HP had 564 super computer servers working on the algorithm, working for all people – old, young, small, big, black, white, male, female, etc. Several companies are working on extracting emotions from your body and nervous system using multiple types of sensing such as optical image processing, extracting information from voice or extracting information from your nervous system. There are devices on the market that look like a headbands extracting your brain waves to control different devices. Probably the most funny application I’ve seen is in Japan: you can buy bunny ears, connect them to your headband, and, without saying a word, tell people around you about your mood. If you’re tired, sleepy, or low energy, the bunny ears will be down. If you’re happy, the bunny ears will be up. That is not far off. It’s all incredible stuff. Shifting slightly, AlleyWatch is based out of New York City, a place with a unique startup community that benefits from how closely all of the different markets are to one another here. Your son, Michael Bryzek, actually co-founded Gilt here. I was wondering, from your view of many of these budding industries, do you see these things coming to NYC, or do you think it will stay over on the West Coast? This is a very interesting question. When you’re looking at traditional venture capital, which was, in a sense, born in Silicon Valley, you see it is still absorbing some 35-46% of US Venture Capital. 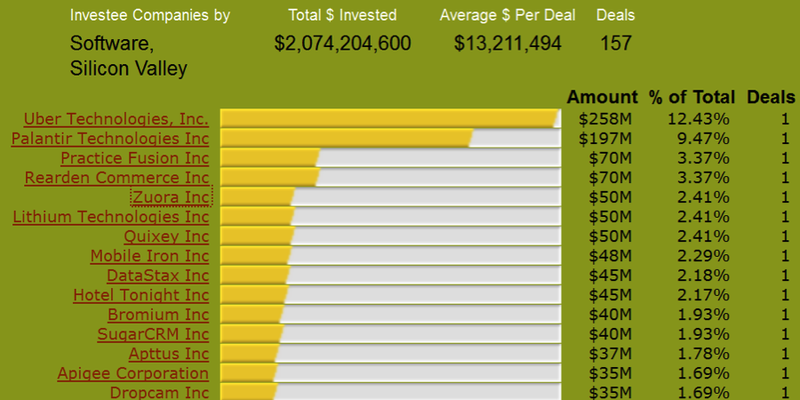 So, from the point of view of New York, it is developing with about 9% of US venture capital last quarter. Initially, the venture capital in Silicon Valley was focused on semiconductor technologies. Currently the #1 segment in both Silicon Valley and New York is software, See attached statistics from https://www.pwcmoneytree.com/MTPublic/ns/index.jsp . That is interesting. Thank you again for taking the time to speak with me. The Trillion Sensor Universe sounds incredibly interesting, and I can’t wait to see the sort of developments that will emerge in the coming years.